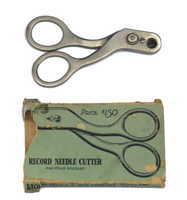 Scissors type fibre needle cutter, for re-using fibre (bamboo) needles. 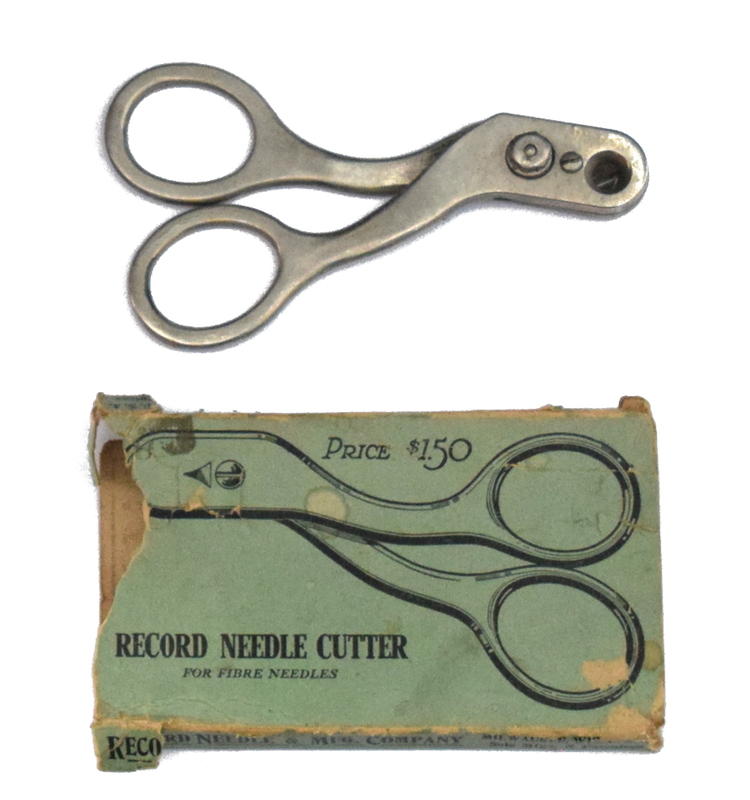 Marked record needle cutter, manufactured in Milwaukee, Wisconsin. 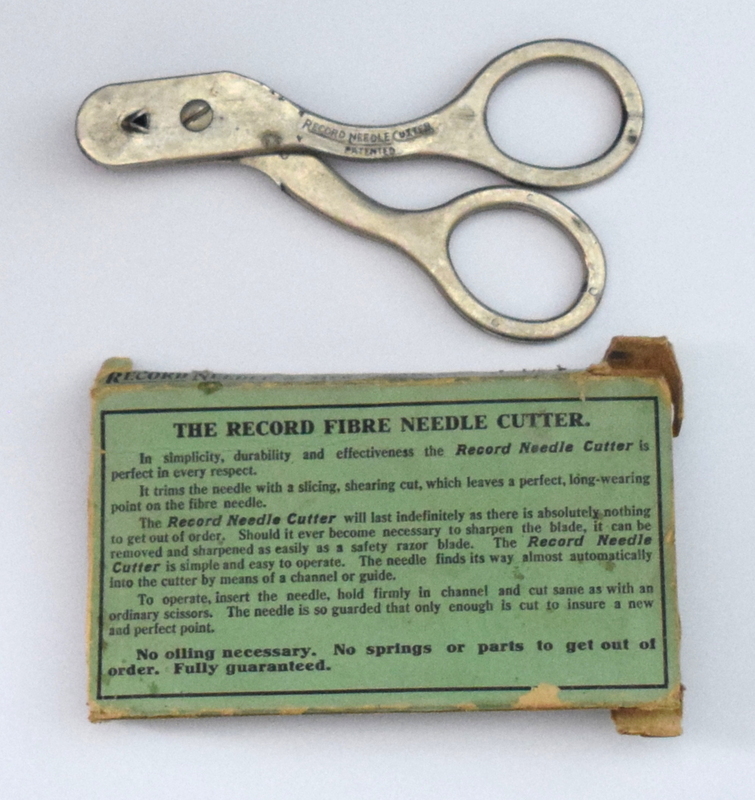 Includes part of the original box.